Silver foiled “Bismillah- Ir Rehman Ir Rahim” symbol adorns the main card. 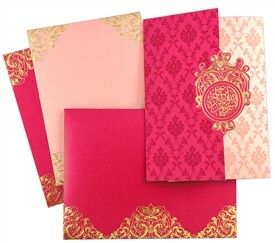 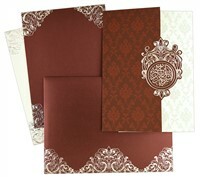 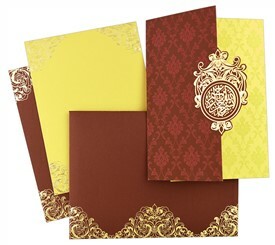 The front fold Damask design is printed in deep red matt color. 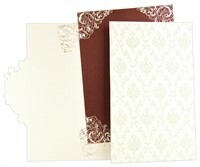 The main card has baroque motif self-print. 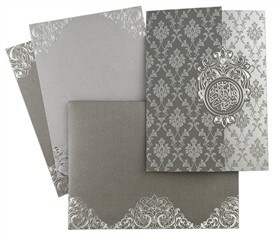 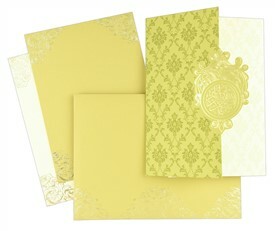 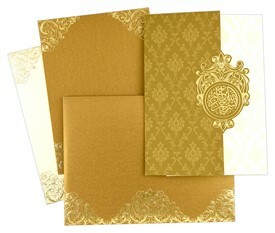 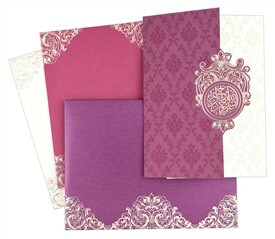 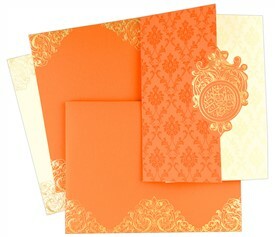 Inserts and envelope are beautified with silver foiled motif. 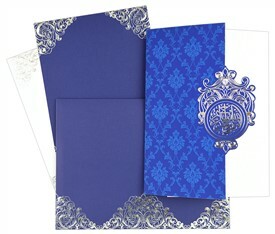 A graceful invitation! 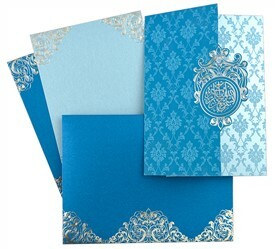 Off-white shimmer paper with blue tint (250 gsm) for main card and 1 insert. 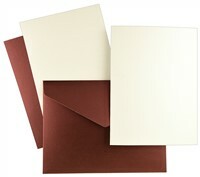 Deep red (burgundy) shimmer paper (250 gsm) for envelope and 2nd insert.